What after the recognition of Golan heights? West Bank? 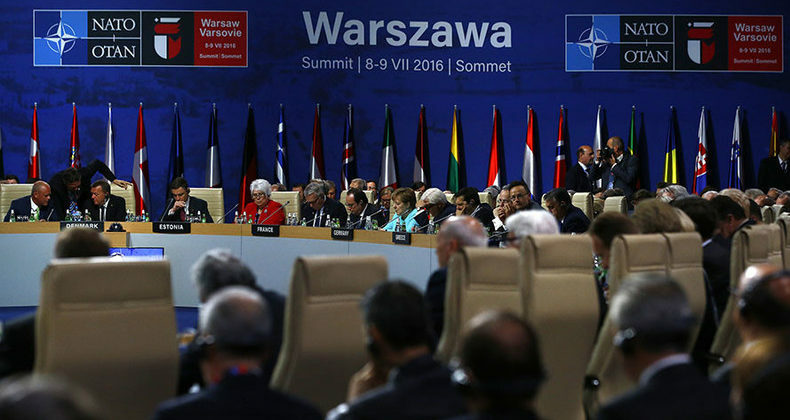 Comments Off on What after “Warsaw Summit”? This week’s US-led summit in Warsaw is the most significant event dedicated to discussing issues in the Middle East in a while as it represents a shift towards the implementation of policies. Iran was a clear priority on the agenda for the US, who sent Vice President Mike Pence, Secretary of State Mike Pompeo and Jared Kushner to the summit with a blunt rebuke to the Europeans, who refused to send their top diplomats, for shielding their businesses from US sanctions on Iran. The US representatives made it clear that progress in Iran is a focus for their Middle East Strategy. Pompeo told the media, “You can’t achieve stability in the Middle East without confronting Iran. It’s just not possible… There are malign influences in Lebanon, Yemen, Syria and Iraq … The three H’s: the Houthis, Hamas and Hezbollah, these are real threats,” he said, referring to the key groups in the region that Iran supports. America appears to be setting up a new phase of escalation with Iran as its economic sanctions have only partially isolated Iran politically and diplomatically. This approach could lead to further regional escalation, especially given America’s insistence that its moves are not unilateral, but rather part of a regional axis, as demonstrated during Pompeo’s tour of the Middle East last year. We are already seeing multi-country engagement in Iraq and the rebuilding phase that is beginning to get underway there. We are likely to see more tactical approaches to contain Iranian influence there and in Syria, in order to break the privileged status that Iran has enjoyed. However, while the Warsaw conference was happening, Vladimir Putin hosted his counterparts from Turkey and Iran to discuss a final settlement of the situation in Syria, on which the three countries do not currently agree. They also discussed setting up a special committee to develop a post-war constitution for Syria, trying to find alignment in order to position for the rebuilding opportunities. As the Trump administration heads into the final year of its first term, it will inevitably develop a proposal for Israeli-Palestinian settlement, which was also a topic of discussion in Warsaw. While the US sees containment of Iran as its current focus, it is the first step in broader regional settlement, which requires a lasting peace between Israel and Palestine. Meanwhile, Jordan literally finds itself in the middle of these issues geographically, while it also faces complex economic crisis. The opportunity that regional transformation brings cannot be ignored, and a complete political overhaul is necessary in order to position Jordan to take advantage of regional changes in order to positively impact Jordan’s economy and its people. The activation of its borders is the first step for Jordan to take a key role in the region. The initial attempts to restore relations with Iraq are a good first step, and a similar approach must be taken with Syria a well. However, in order to establish sustainable economic engagement, there must be a strategic vision based on mutual benefit. Creating economic opportunity requires fundamental political understanding. A key demonstration of this is that not only does Jordan need a long-term national security strategy with Iraq and Syria, but it also needs to revitalize and strengthen relations with its other two borders in Israel and Saudi Arabia – who are key players in the region and play a central role in America’s plans for the region. Jordan must take note of the prevailing winds indicating the massive transformation of the region that is coming, in order to plot a course that maximizes opportunity. This requires the development of a security strategy that protects against the risk of being sidelined by regional powers who will eventually decide the Israel-Palestine settlement. Jordan must be careful as it could easily fall foul of that process and be the one that has to pay an extremely high price for regional peace.